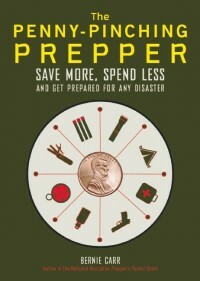 We are watching every penny these days, but still want to continue adding to our emergency supplies. Before buying a new item, we compare prices between local area stores and internet sources like Amazon. While we were at the store, I was starting to write all the items and prices down when my husband came up with a good idea. He said, “Why not use your cell phone and just take a picture of the item and price?” I don’t know why I hadn’t thought about doing this before, but it sure saved a lot of time. I tried not to be obvious about it, and if any clerk would have asked me to stop I would have. Not sure how it would be at your store, but this technique sure made price comparisons a lot easier. Capture the item and price in the photo and make price comparison a lot easier. There’s an idea I did not think of. I do not think they would mind you taking a picture 🙂 Thanks for sharing . If the store clerk sees you, and hasn’t been watching you for a long time, just say, “I’m not sure if this is the one my son was talking about, he’s in the Boy Scouts”. I did not realize there is an app for comparing barcode prices. Thanks for sharing!! Back in the day, I always shopped the Sears Catalog before I went to the store to buy something. The internet has made it backwards! I go shopping in the store and then compare what’s on Amazon!